» Kelty PK 50 Review – Does This Backpack Work as Expected? 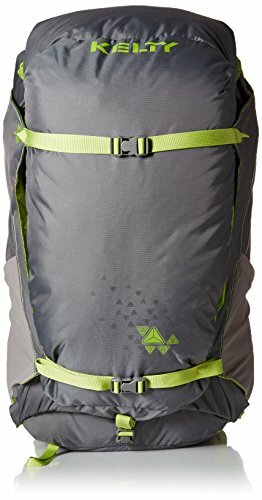 Kelty PK 50 Review – Does This Backpack Work as Expected? Kelty has been around since 1952 and began as a husband-wife team with a goal for creating high quality outdoor gear. The days of making backpacks in a garage were short lived as just within a few years of opening the brand began to gain wide recognition. Even being the exclusive gear used by Americans in the first western ridge Mt. Everest Expedition. Most outdoorsman are familiar with the amazing quality of Kelty backpacks and their PK 50 certainly follows suit. The PK 50 is part of the Kelty TraiLogic collection which is a set of gear designed to be used together or separately. 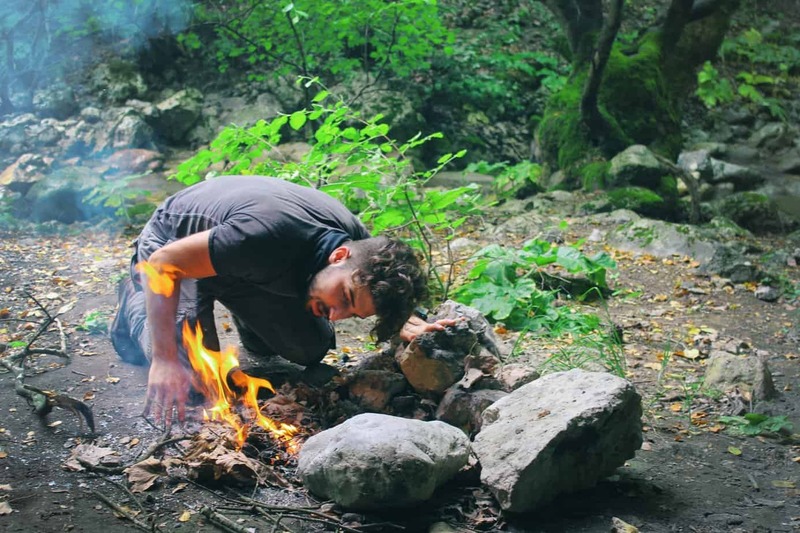 The backpack is the foundation of this series and very popular just on its own which is useful if you already have favorite sleeping banks, tents, hammock systems, etc. The PK 50 isn’t just your basic rucksack and it does have numerous features aside from its comfort, versatility and durability. The Kelty PK 50 is simple to use but contains many useful features. The TraiLogic gear set and the backpack are ideal for people new to hiking or those who are weekend hikers, yet the system is advanced enough to make veteran hikers happy. Unfortunately there are no larger or smaller sizes that these two so very slim and short people or petite women may find that the small/medium doesn’t adjust small enough. 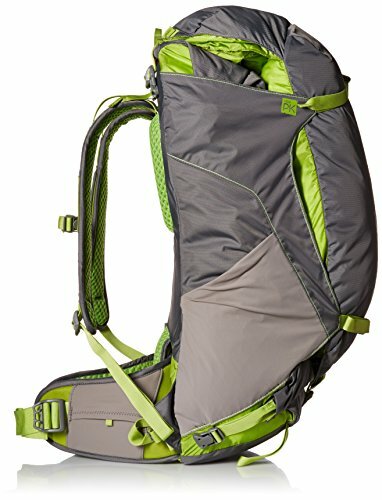 Similar, those who are overweight, muscular or just generally bigger boned may need a backpack with more adjustability that the medium/larger provides. The average man or woman should be able to comfortably wear one of these two sizes. In terms of versatility in use, this backpack is ideal for overnighters or multi-day light backpacking trips. Since this bag offers the rare ability to downsize by removing the front, it is also perfect for light or ultra-light backpacking as well as day trips. If you are camping in one site but hiking daily, you’ll find the ability to detach the front pocket very useful for trip away from your tent. For very long hiking trips where you need to pack a lot of gear, you may find the Kelty PK 50 to be a bit too small. If you regular hike with a lot of bulky stuff, even if it’s under the 40lb limit, you may have difficulty fitting it all in. On the other hand, if you have no other camping/hiking gear you can easily buy the other pieces in the TraiLogic series and be happy knowing everything is going to fit perfectly. This backpack offers a lot of ventilation so it is comfortable to wear in hot weather while the built-in rain cover makes protecting your gear quick and easy if you find yourself suddenly caught in a storm. The foam padding will also offer some warmth in cold weather hiking. As mentioned earlier, this backpack was created as a foundation piece of Kelty’s TraiLogic collection. Unlike some competing gear sets that tend to work exclusively with the brand’s other gear, the PK 50 will easily carry non-brand equipment with ease. Durability is an important factor when choosing a backpack. Although Kelty created the PK 50 to be a budget-friendly backpack with appeal towards the weekend hiker types, they certainly didn’t skimp on material. Majority of the back pack is made of 100 denier Robic Dobby fabric while the reinforcements are a strong 200 denier nylon. While the mesh material used isn’t specified, it is a very resilient and flexible close knit fabric which greatly reduces the chances of snag it on something. The bag itself is built on a strong internal frame that offers plenty of suspension benefits. 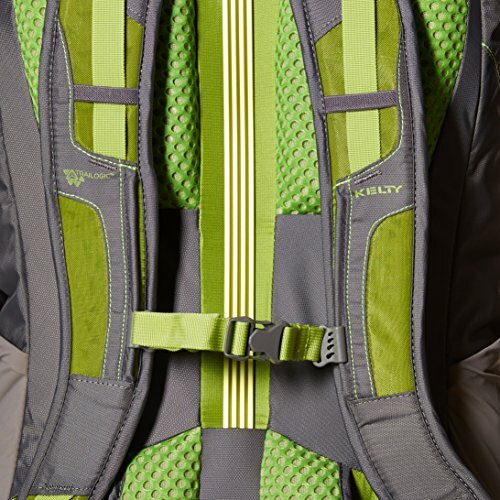 Kelty created this backpack to have proper lumbar support to protect the back from strain. Additionally, the pack is set up so heavier items can be organized to fit closest to the back- which is another important way of protecting the spine and reducing fatigue. Overall the PK 50 is very stable while being worn. Aside from the fabric materials, the actual skeleton of the bag uses lightweight aluminum stays and HDPE frame sheeting. Sternum straps and a hip belt stabilizer helps keep the bag fitted close to the back of the wear. This backpack also has their patented Scherer Cinch system to get the perfect fit. A final added feature that increases durability is the lack of zippers on this backpack. All closures on this bag are a roll top style which eliminates potential hardware breakage and greatly decreases the chance of water being able to enter the pack. The roll top closures do mean the bag isn’t as quickly accessed however. It is better to have a basic backpack that is comfortable for your back than the latest advanced backpack that makes you sore. A hike or camping trip should be enjoyable, which means you shouldn’t have to constantly readjust the straps of your pack. There is plenty of adjustability within the two sizes Kelty offers, so most everyone should be able to decide which size is best for them. Aside from sizing, the PK 50 is a very comfortable backpack to wear. It fits very close to the body which reduces any chance of injury while the hip belt, shoulder and sternum straps prevent the bag from slipping around while hiking or having to do a little traversing/climbing up a rocky hill. As mentioned earlier, the mesh ventilation keeps the hiker cool but the ample foam back padding adds support. Another factor that provides comfort is how well the entire backpack compresses down. This compression system makes the back as compact as possible which reduces movement and allows for better maneuverability on the trail. It is an innovative backpack and while Kelty isn’t the first brand to do away with zippers completely, it’s safe to say the easily perfected it with the PK 50. Most people will be very happy with the numerous sections that make organization a breeze, although some very picky hikers wish there were more organizational options, particularly easier to access side pockets. Despite having a strong internal frame, the size and material limit this backpack to carrying 40lbs or less. Although some may carry more, this isn’t recommended by the brand. The lumbar support is equally strong but some find that if too much weight is carrier, the back foam compresses too much and may affect comfort. Overall the Kelty PK 50 is perfect for nearly anyone who enjoys light or ultra-light backpacking trips. Amazon: Check this listing on Amazon for their best price.